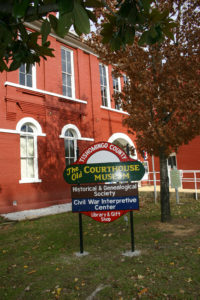 This two-story courthouse from 1889, was like a gem in the midst of the brightly colored trees in northern Mississippi. Everyone, there was very sweet and seemed extremely knowledgeable about the area. Outside is a quaint little town, with much more then you would ever expect and inside follows along that same path. 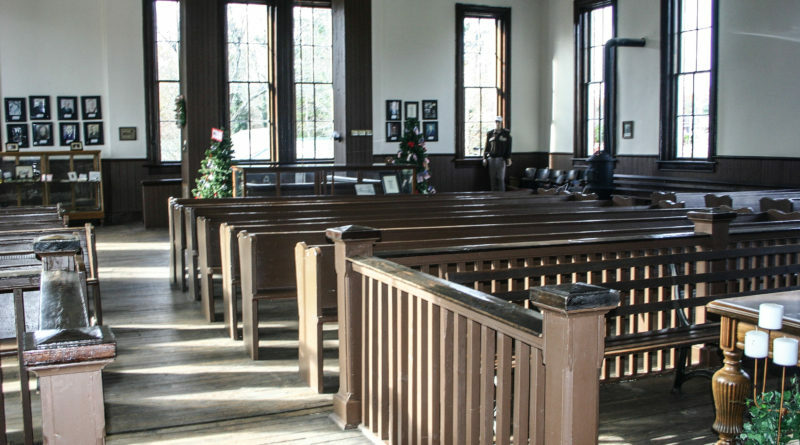 The building itself is a large part of the exhibit, with the dark rich wood and the creaky floorboards. It gives you the feel of actually stepping back in time. Downstairs is a gift shop and a vast amount of genealogical research. In the back area, you will find Native artifacts and much local history. Everything from period clothing, arrows, shards of pottery, Legal documents and furnishing to Civil War artifacts. They have an extensive representation of Mississippi’s role in the Confederate stand, many cannon balls, belt buckles, buttons and the like. The presentation on the local Mississippi natives was one of my favorites. I loved that they extended it beyond just the typical arrowheads. The chart on the language was very interesting. 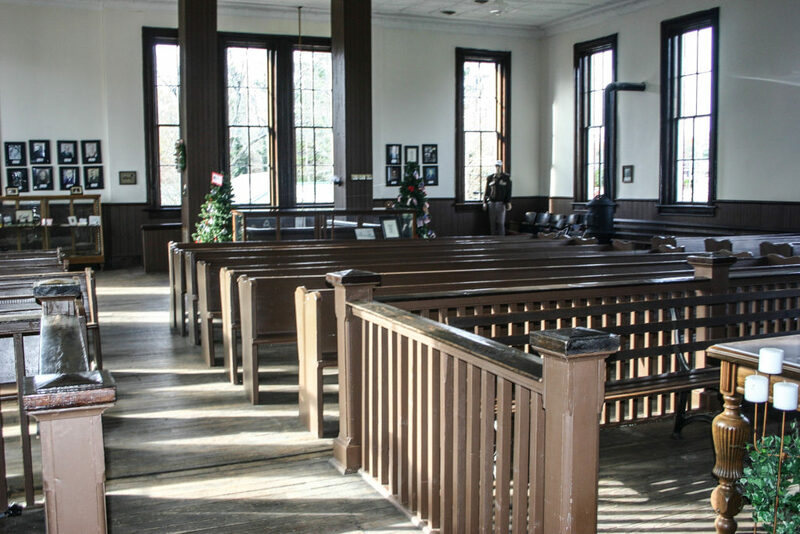 To my surprise just as I thought that was all there was to see (as if that wasn’t enough) a staff member directed me up some beautiful wooden stairs to what used to be the actual courtroom. It is still very much like it once was. The hues in the old wood and the feel of the floor creaking beneath you give you a real feeling of nostalgia. In the upstairs area, there is also a room filled with blacksmiths tools and one with things to represent home life in the area during that time. Overall a very interesting little museum and one that I would be inclined to visit again.